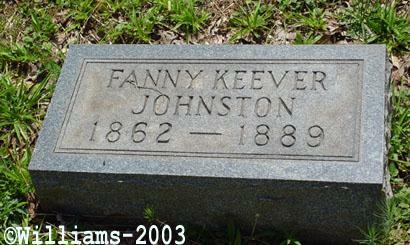 Fanny Keever, daughter of John Wesley Keever and Sarah E. Hurgburger, wife of Claudius Franklin Johnston. Information provided for research purposes only. Do not copy and paste on other websites. Photos are the property of the site owner or contributors to the site.